Welcome my comic collecting cohorts, and this week’s captivating cover celebrates the 50th issue of Batgirl’s latest ongoing monthly series. Babs has gone through quite a significant change since this new series was introduced way back in the 2011 DC reboot – ‘The New 52’. Barbara Gordon had not donned the Bat suit since the tragic events of the 1988 ‘Batman: The Killing Joke’ storyline where she was shot and paralysed by the Joker. Undeterred by the event Babs became the wheelchair bound character known as the Oracle, and used her vast intellect, photographic memory and extensive knowledge of criminal networks to continue her crime-fighting career, beginning by anonymously offering her services to Amanda Waller’s Task Force X (aka – The Suicide Squad) before eventually forming the Birds of Prey team, that included lifelong friend Black Canary and The Huntress in its initial line up. In 2011 Babs triumphantly returned as Gotham’s flame haired guardian after the company wide relaunch of its new continuity following on from the ‘Flashpoint’ mini series saga. In this new and revised version, the Killing Joke incident happened three years previously, and whilst she had still spent time in a wheelchair as the Oracle, she had regained mobility in her limbs through experimental surgery in a South African private clinic. Gail Simone, the writer tasked with bringing Babs back to the costumed avenger fold remarked that her fictional recovery was based upon real life cases of paraplegia, and instances of PTSD experienced through traumatic life events, which gave the series a more realistically grounded and emotional set up. 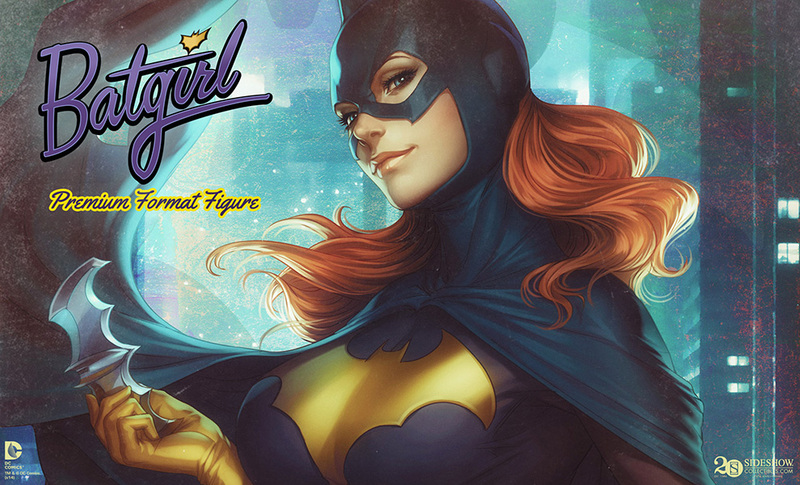 In 2014, Batgirl’s title underwent a minor reboot, with a new creative team brought onboard that included, Brenden Fletcher and Cameron Stewart on writing duties, with the cool and quirky art style by the appropriately named Babs Tarr. Injecting more humour and giving the readership a somewhat lighter approach to the character, effectively enabling Babs to escape, to a certain degree, from her trauma at the hands of the Joker. This soft reboot has proven popular amongst fans, bringing Babs back in line with the fun loving masked adventurer seen previously to the Killing Joke incident. Batgirl #50 is available at your local comic book emporium right now. Written by: Brenden Fletcher and Cameron Stewart. Art by: Babs Tarr, Roger Robinson, John Timms and Eleonora Carlini. Cover art by: Babs Tarr, Variant covers by: Kevin Nowlan. New comics Wednesday is upon us once more, my comic collecting cohorts, and our spotlight of the sublime this week falls upon “Batgirl #48” and this fantastic Babs Tarr illustration featuring two of Gotham’s greatest guardians. Babs’ awesomely quirky anime influenced art has been a real selling point for Batgirl since she took over artistic duties in issue #35. Batgirl’s change of pace and direction has been helped immeasurably by Babs’ style, which greatly suits the fun and upbeat nature of Ms Gordon’s nightly escapades as the feisty red-headed avenger. The refreshing change of pace ultimately suits the character, if you like your Bat-family adventures dark and brooding then you still have Batman and Batwoman to fall back upon, but if you want to read a fun, feel good comic with striking artwork, then why not let Batgirl be your femme-fatale of choice. Batgirl #48 is available at your local comic-book emporium right now. Written by: Cameron Stewart and Brenden Fletcher. Cover and interior art by: Babs Tarr. Exciting and interesting news indeed, fellow DC fanatics. 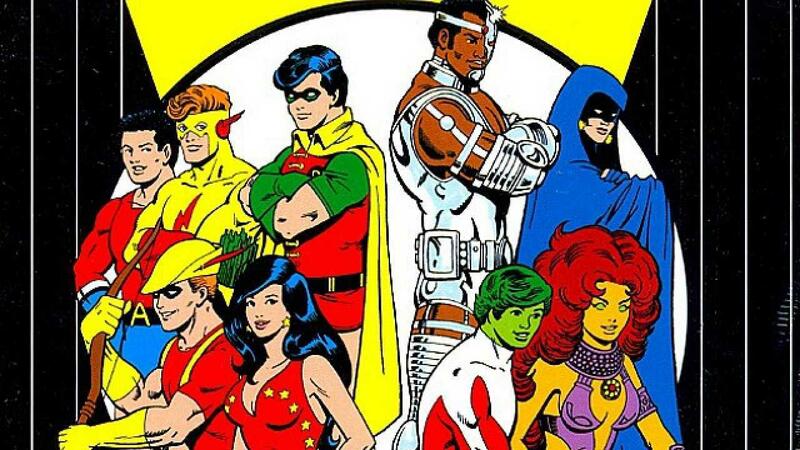 Apparently the show will focus mainly on DC characters, Barbara Gordon (currently unknown whether she’ll be Oracle or Batgirl), Hawk and Dove, Raven, Starfire, and Robin. Even though there have been several different characters that have inherited the mantle of Batgirl since her introduction by Batman co–creator Bill Finger in 1961, the most famous and without a doubt popular of these has always been Barbara (Babs) Gordon, the flame haired daughter of Gotham City’s very own Commissioner Gordon. 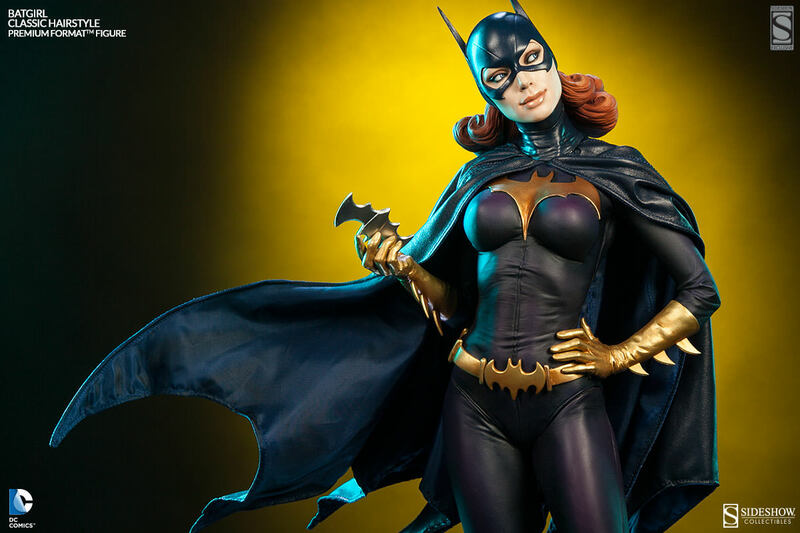 And so, in honour of one of the world’s premier female crime-fighters, Sideshow Collectibles is readying to launch their very own tribute to Babs, with this astonishingly detailed premium format statue that captures everything we love about the ravishing red-headed vigilante. 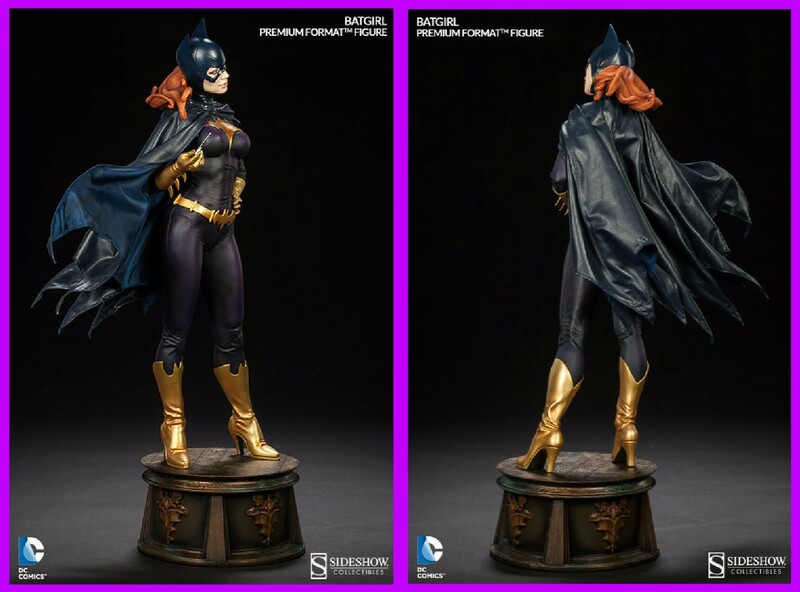 Standing an impressive 22.5″ in height and clad in her iconic black and blue costume, batarang in hand, this is yet another meticulously detailed and seriously impressive piece from the masters at Sideshow. Based on an original design by comic book artist supreme Stanley Lau, and sculpted by Sideshow’s impressively talented staff, this is a piece no fan of Gotham’s favourite daughter should be without. Moulded in high quality polystone and lovingly hand painted by expert painters, Kate Sapene and Mireya Romo-Bowen, Babs is available to pre-order right now, is limited to just 1500 pieces and will ship in September 2015.